Santa Monica Bay Audubon Society has funded seven eco-projects that will benefit the local area and beyond. These gifts cover a balanced slate of categories including education, research, habitat restoration, and the arts, and were made possible through a one-time bequest from the estate of Norma Foster, a former chapter member. The Board of SMBAS discussed how to best use these funds. In the end, it was decided that we were a conduit rather than an end for Ms. Foster’s thoughtfulness. So, rather than keep the gift and use it a little at a time to fund numerous small grants and annual expenses, we decided to fund several large and significant projects which, with our usual income, we could never afford. Ballona Wetlands Education Project, Abigail King Bus Scholarship — set-aside funds to provide a minimum of ten buses per school year for an estimated 7 to 10 years. Bus funding will not be dependent on annual budget allocations for the term of this grant. Birds at the Beach Exhibit — set-aside funds for a photography and artwork exhibit proposed for display at the Annenberg Community Beach House in late 2014. Loyola Marymount University, Seaver College of Science and Engineering — a lifetime endowment gift to provide assistance to faculty and students in Biology or Environmental Science whose study and research further the understanding of ecological, environmental and biological variables on birds and other wildlife. The money will, in part, fund student presentations at student science conferences. Loyola Marymount University, Seaver College of Science and Engineering, Watts Lab — a one-time gift to Watts Lab to help fund the study of birds and the relationship of environmental variation on the behavior of individual birds. The research will shed light on the potential for a species to adapt to environmental changes. 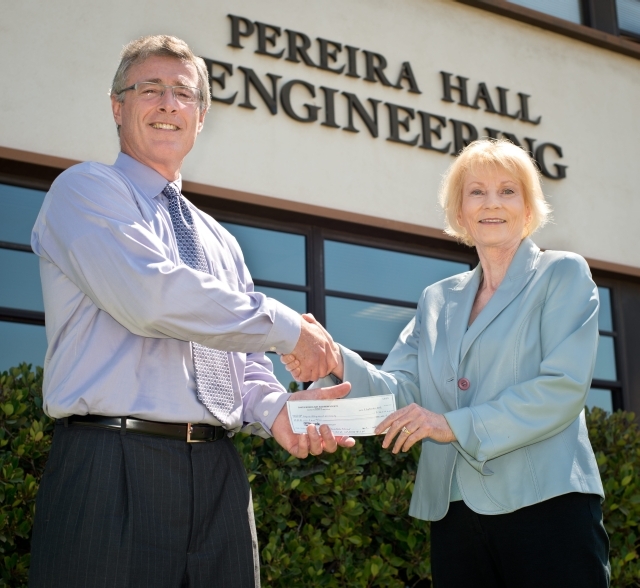 Santa Monica College — a lifetime endowment gift to provide financial aid to a continuing student in the field of Biological Sciences, Environmental Sciences or Policy Studies impacting the birds of Los Angeles County. Student Conservation Association — a one-time grant to provide full funding for one 2-year internship in the Santa Monica Mountains, or partial funding for an intern in the Butterbredt Spring area. SCA will use our gift to secure matching funds. Walgrove Elementary School Wildlands Project — funding provided for the purchase of plants, signage and seating platforms. 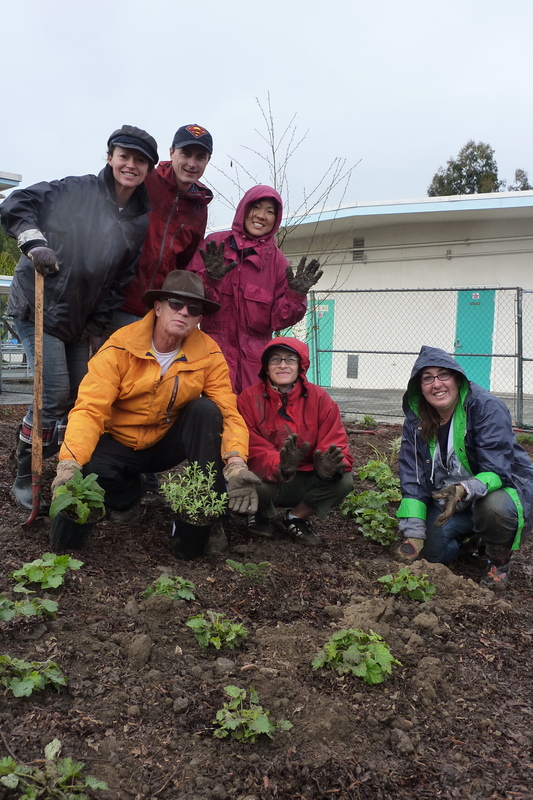 Walgrove, a LAUSD elementary school, is converting 25,000 square feet of asphalt into a Wildlands of native plants to attract birds, insects and butterflies. A committee of board members Jane Beseda, Lu Plauzoles, Ellen Vahan and chaired by Lillian Almdale spent six months researching potential grant recipients whose use of the funds would have a substantial impact in our local area. After reviewing 24 proposals, 10 were submitted to the board of directors at the annual planning meeting in August, and 7 were selected. I would like to thank Jane, Lu and Ellen for their passion and the many hours of hard work that went into bringing this process to an exemplary conclusion. I would also like to thank the Board for spending time prior to the meeting doing an in depth review of the final 10 proposals, and for their keen insight and patience as we built consensus at the planning meeting. Most of all, thank you to our grant recipients who will make the vision a reality. Together, we make a difference! We docents at Ballona certainly appreciate SMBAS continued support of the program. Cindy just told me this morning that we served 51 schools last year. Thank you very much for the confidence you demonstrate in our efforts. Hi Lynn, this is Jane. It was a wonderful project to select the grant recipients. The buses were a unanimous recommendation. Thanks for making a difference for our young people.